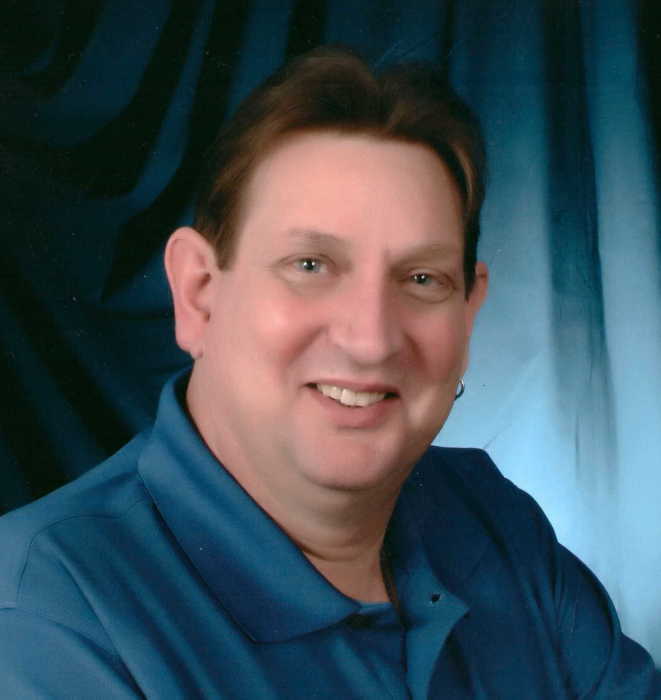 Obituary for Roger Dean Rake | Kroeze-Wolffis Funeral Home, Inc.
Mr. Roger Dean Rake, age 58 of White Cloud, went Home peacefully to be with Jesus on Saturday afternoon, March 23, 2019. He was born on April 8, 1960 in Grand Haven, Michigan to Eugene & Thresa (Hoogeveen) Rake. Roger loved riding his motorcycle, and he had been a truck driver for MPH, Herin Brothers, February 14th Trucking Company, and VanEerden Trucking Company. He was a devoted husband, father, grandpa, & friend who put God first, and who was always supported by his church families. On August 30, 1986 he married Mary E. Hoffman and she survives him along with 5 children: Thomas (Tabitha) Rake of White Cloud, Crystal (Zach) Vanderwall of Fremont, Roger (Caitlin) Rake, Jr. of Muskegon, Lonnie "Buster" (Tina) Giffen of Newaygo, Danny Corbett of White Cloud. He is also survived by several heartfelt kids: Lisa Witte, Travis Vanderwall, Harlee Daught, Cameron Kleynenberg, Chelcee Snow, & Courtney Yeager; 21 very loved grandkids; 2 brothers: Rick & Julie Rake of Spring Lake, John & Judy Rake of Holland; and by many nieces & nephews. Roger was preceded in death by his parents, and by his brothers Mark & Vic Rake. A celebration of Roger's life will begin at 3:00 PM on Sunday, April 14, 2019 at the John Graves Lodge (4684 Evergreen Dr, Newaygo, MI. 49337) with Pastors Eric Klingel & Dan Cook officiating. A luncheon & a time to visit & share memories will follow at the Lodge until 6 PM. Suggested Memorial: Wounded Warrior Project. You can sign the online guest book at www.kroeze-wolffis.com. Arrangements are by Kroeze-Wolffis Funeral Home, Inc. of Fremont.